Throughout our experiences, it can be challenging to work with your peers even when they are within your own program. 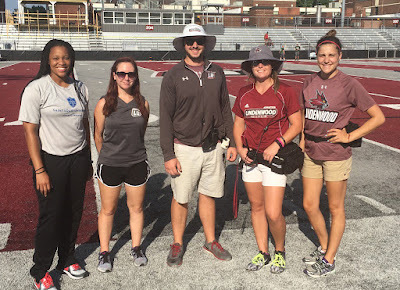 Our clinical site this semester has not only challenged us to work collaboratively and helpfully as first (PY1) and second (PY2) year professional students from the SLU Athletic Training program, but to also work with Athletic Training Students from a different program. This was definitely a daunting thought when we first arrived at Lindenwood-Belleville, but from the first day any fears we had were calmed. The Athletic Training Staff, consisting of faculty and Graduate Assistants, were very welcoming. They wanted us to feel comfortable and that we are one of them rather than an outsider. Gathered in a room full of Lindenwood Athletic Training students, they all made an effort to have conversations with us, introduce themselves, and let us in on the banter. Within a few days, we were able to feel at home and we are very grateful for that. Our experience has been very unique due to this dynamic. We can learn from the Lindenwood students, and we hope they have been able to learn from us. It is great to see what a different perspective or learning technique can do to enhance your own knowledge and abilities. All of our preceptors are somehow involved in the education process at Lindenwood, which makes them great advocates for our learning and enhancement of skills. They ask us questions, give us feedback, and teach us new techniques on a daily basis. Working with Football comes with its own set of challenges, but we feel we have been able to meet those well. When we look past our experience as just being long hours and many injuries, we can see that it is actually a great opportunity for exposure to a multitude of treatments. We have been able to come up with rehab plans, tape, brace, apply modalities, work with acute care situations, and help with documentation. We are really excited about the opportunities we have had to grow as students and professionals. From a PY2 perspective, I (Mada) have had more autonomy this year than in the past. The staff at Lindenwood gives me space to show my skills and abilities. These new responsibilities have helped my confidence in clinical decision making grow. It is also helpful in my development of relationships with the athletes as they now feel more comfortable coming to me because they trust my decisions to help them. I have been able to see patients through the whole rehab process, formulating and modifying treatments as we go. I am very happy and thankful this sense of autonomy and professionalism. From a PY1 perspective, I (Donielle) have been able to utilize what I am currently learning in the classroom and have started to immediately use those skills. When you can learn something in the classroom during the day and see it in the training room that evening, the puzzle pieces really start to come together! 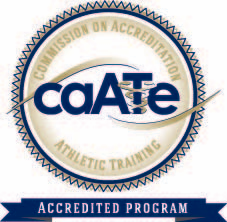 Most importantly, I have a better understanding as to what it is like to be an Athletic Trainer in a collegiate setting. There is collaboration taking place between your own staff, team doctors, coaches, players, opposing Athletic Trainers, Emergency Personnel and referees, just to name a few. 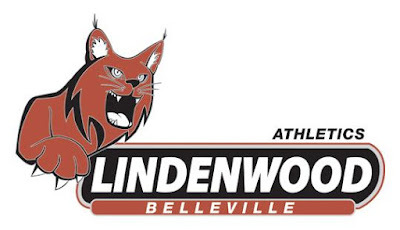 Lindenwood University Belleville has been a very beneficial clinical site to aid in my development as an athletic training student.